Opening in 2013, Winfields Chester is one of our newest of our stores, but it’s also one of the largest. 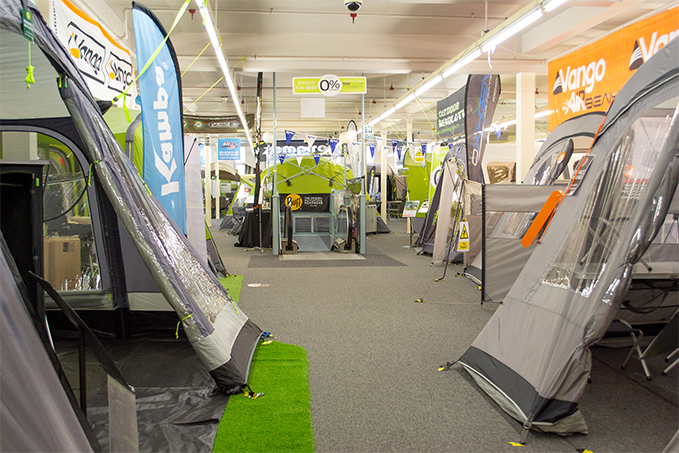 The store boasts one of the biggest tent displays in the North West, showcasing some of the very latest tent models from Vango, Outwell, Outdoor Revolution and more, so you can check out the tents for yourself before buying. You can also browse our fantastic range of other outdoor gear, including awnings, clothing, footwear, workwear and a kids’ section. We pride ourselves on stocking high quality brands such as Timbuktu, Berghaus, Jack Wolfskin, Regatta, Weird Fish, Dickies, Snickers and many more. Come down and see us at Chester Winfields (located on Sealand Road A548 Chester) where our friendly staff are waiting with advice or for help with any questions you may have.